High Smartphone Case with integrated Bumper, iPhone® 8 Plus, Black. Give your iPhone® 8 Plus a gorgeous sparkle with this sophisticated and highly refined black case. Ideal for everyday use. It also features the Swarovski logo, and a bumper for extra protection. Perfect for mixing and matching with other accessories from this season’s collection. 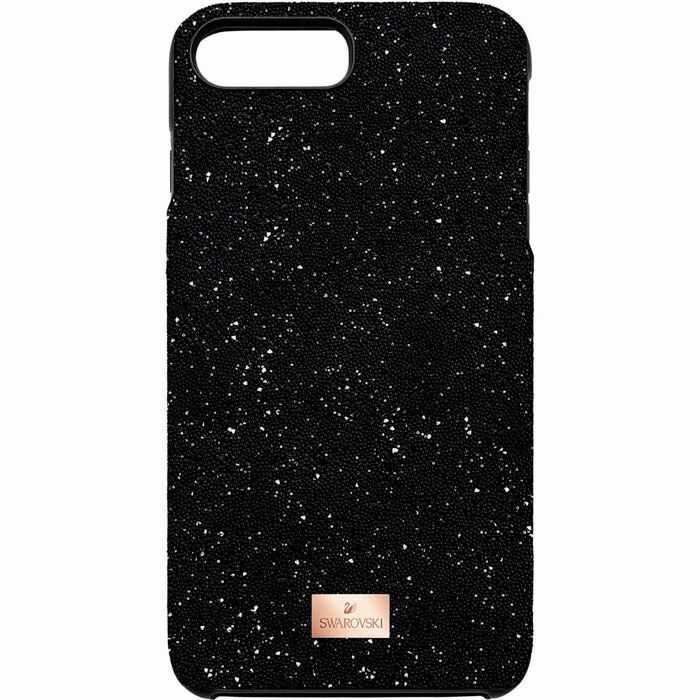 This smartphone case is also compatible with iPhone 6 Plus, iPhone 6S Plus and iPhone 7 Plus. The iPhone model shown on the picture is only used for demonstrative purposes. iPhone® is a trademark of Apple Inc.